Utica Shale: Potential or Problem? On West Virginia Morning, Jesse Wright reports on reaction to a new study about the potential of developing the Utica Shale formation. And Ashton Marra talks with a journalist and author who focuses on women working in STEM fields. 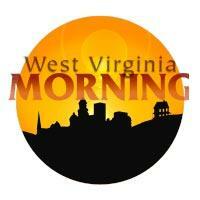 These stories on West Virginia Morning from West Virginia Public Radio news – telling West Virginia’s story. Click here to listen to West Virginia Morning Thursday, July 16, 2015. Rachel Swaby took the stage at the Walker Theater in Charleston as a part of the Higher Education Policy Commission's Division of Science and Research STEM Speaker Series. Swaby, a freelance journalist, published her first book in April titled "Headstrong: 52 Women Who Changed Science- and the World." "I think it’s easy to say, oh Marie Curie and just check that 'you’ve talked about a woman in science' box, but we should have a breadth of knowledge of many women who have done many amazing things,” Swaby said before her June talk. A group of 24 high school girls from across West Virginia are spending the week on the campus of WVU Tech in Montgomery, designing shoes and testing mock samples for the AIDS virus. The girls are participating in WVU Tech’s first ever all girls STEM camp, short for science, technology, engineering and math. After four months of waiting, the National Youth Science Foundation has acquired a research and education center in Tucker County.